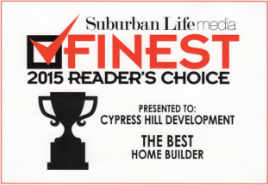 For 15 years, Cypress Hill Development has been building some of the best new, custom homes in Naperville. With over 30 years of combined experience in real estate, construction, and corporate finance, we have the knowledge and expertise to deliver a custom home of the highest level of quality and value. Throughout the years, we have developed a knack for grasping and organizing your ideas for your dream home, and turning them into reality. At Cypress Hill Development, we understand that creating and building a custom home is a very personal experience. That is why we work hard to make sure that your new home reflects your values and lifestyle. For more information on our custom home building services in Naperville or if you have any questions, call us today at 630-241-9330. Or fill out the contact form on the right and one of our associates will respond shortly. Our goal at Cypress Hill Development is to build a home where you and your family can make memories you can cherish for the rest of your lives. To make sure we accomplish this, we work closely with you throughout the home building process to ensure that your vision for your dream home is accomplished. The attention to detail that we put into building your new custom home is what you should expect from a premier professional custom home builder. Within the last 15 years, we have built over 40 new custom homes throughout Naperville and the surrounding areas. 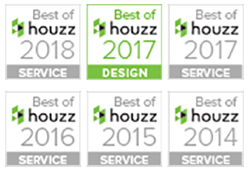 We strive to build custom homes to the highest level of quality and value, while providing our clients unparalleled service. We’re dedicated to making sure the entire process goes as smooth as possible and to build the finest home that is within your budget. If you have any questions about our custom home building services or are looking to start the process of building a new custom home for you and your family, call us today at 630-241-9330. Or fill out the form on the right and we will get back to you shortly.